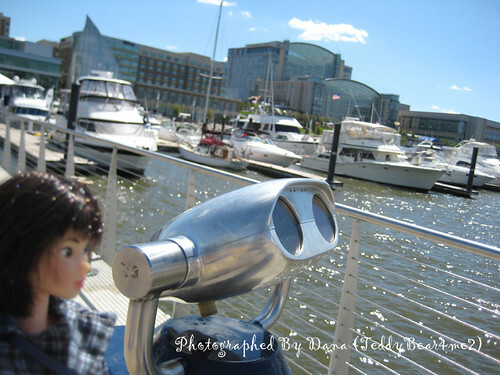 Lazzie visited the National Harbor this weekend for the first time on a beautiful day. 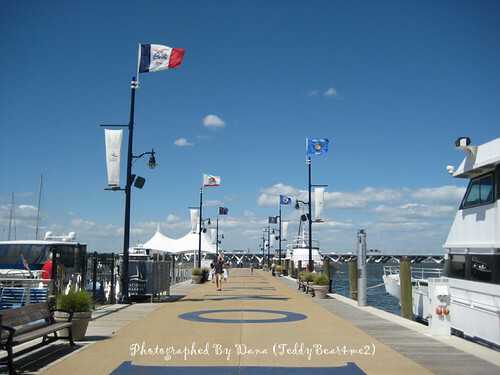 National Harbor is multi-use waterfront development on the shores of the Potomac River in Maryland. The view, the water, and the Awakening sculpture are awesome. The famous â€œThe Awakeningâ€ is a 100-foot statue of a giant embedded in the earth, struggling to free himself. 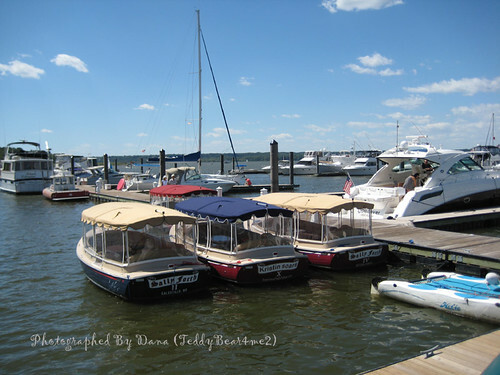 The waterfront, the piers is a great place to walk around. That statue is almost scary! Great photos. 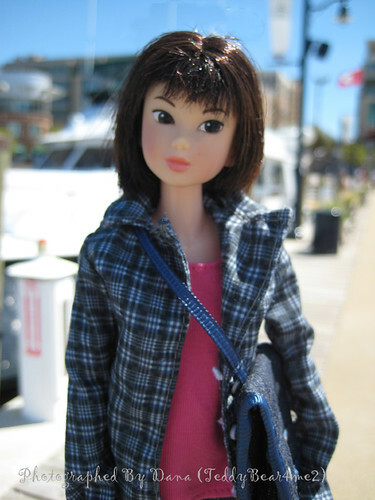 And what a pretty well dressed guide! 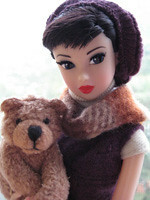 Anders, Lizzie said thanks and she wants to be your peronal tour guider when you come to visit. 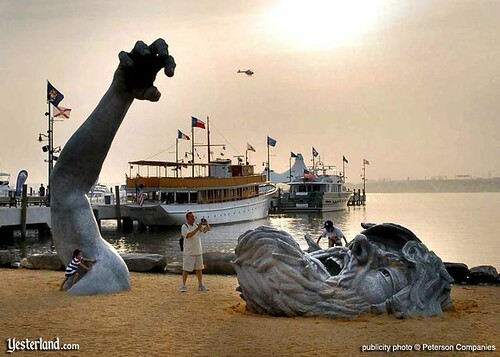 â€œThe Awakeningâ€ giant used to reside at Hains Point Washington D.C. and has tried to break through the ground for almost 30 years. He used to be a special hidden treasure for Hains Point Park, but now he is the centerpiece of this dream city. 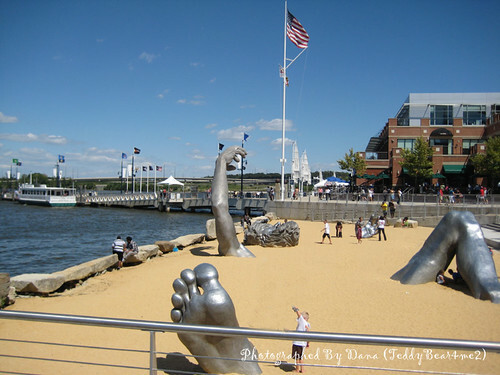 (The sculpture was relocated on February 20, 2008 to National Harbor Maryland.) Although, my son wonâ€™t get near him, but my daughter and other children seem to play comfortable around him. Oh my gosh, your photos are breathtaking!